Robert Moor is an American, who happens to live in Half Moon Bay, British Columbia, and is well-known for his writing on the environment. 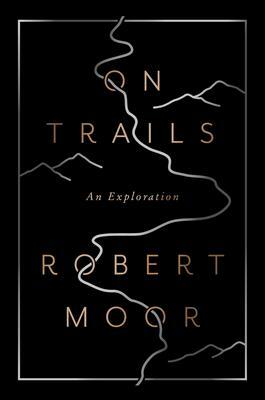 In this book he looks at trails, in all shapes and sizes, from the earliest fossil trails to the great Appalachian Trail running from Georgia to Maine. Moor has walked many of these trails himself. He looks at the beginning of animal life and what made it first move – from tiny ant trails to massive elephant migrations. And then human beings — why they chose certain paths and not others. There are a number of interviews with famous scientists and environmentalists. They show how pathways for humans act as an essential guiding force on the planet. Like many others, the Appalachian Trail goes hundreds of years back to the days of the Cherokee Indians and Moor gives excellent descriptions of their development. One branch grew when the trail continued north through eastern Canada all the way up to Newfoundland. It eventually hopped the Atlantic Ocean and took root in Europe. Moor shows how without trails, mankind would be lost and this runs all the way from the origins of our road networks up to today’s internet. He has written for many American publications and also won the Middlebury Fellowship in Environmental Journalism.